The warmth and beauty of hardwood picture frames is durable and timeless. one can inspect hardwood frames 1000 years old at the finest museums. to the wood with another material. The embossed pattern is very durable and resistant to damage. can be produced, to make the finest picture frames. embossing, because of its physical properties. 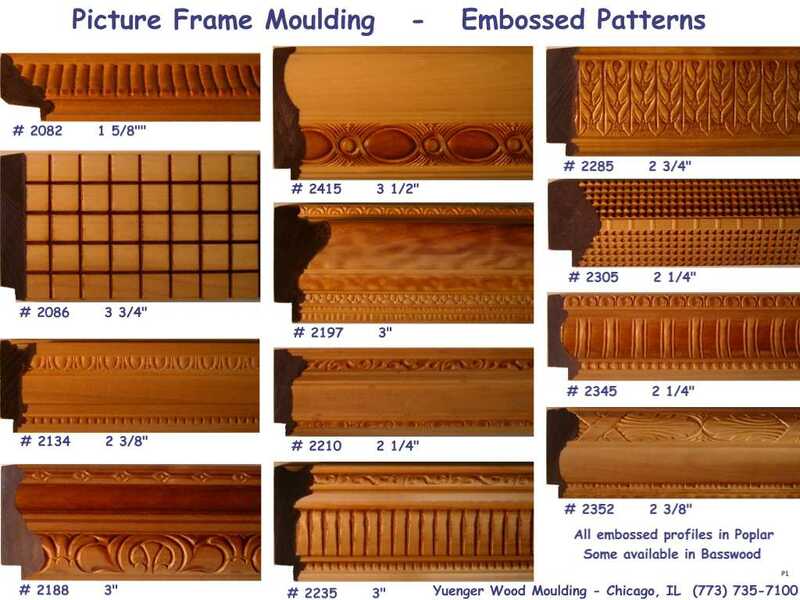 Basswood is generally good for embossed moulding.